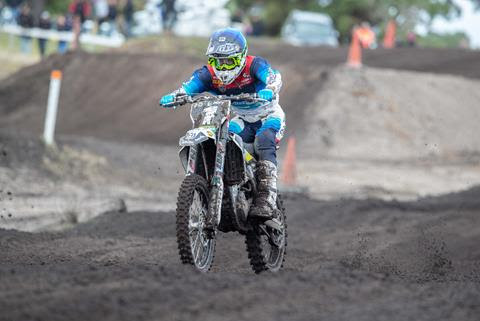 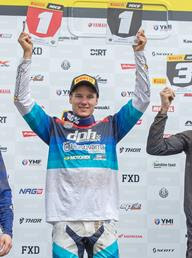 A wet Wonthaggi race track greeted competitors for the second round of the MX Nationals, however, the sandy circuit recovered well and the DPH Husqvarna Factory Racing team had an impressive weekend taking four out of five race wins across the MX1 (450cc) and MX2 (250cc) classes. 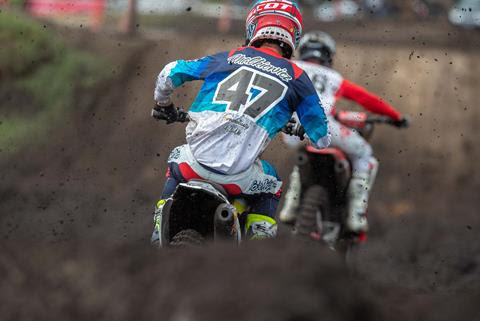 Todd Waters (FC450) was dominant, winning the MX1 Superpole and race two, Wilson Todd (FC250) took all three MX2 race wins and Bailey Malkiewicz (FC250) showed that he’s ready for the MX2 Class with 13-6-12 results. 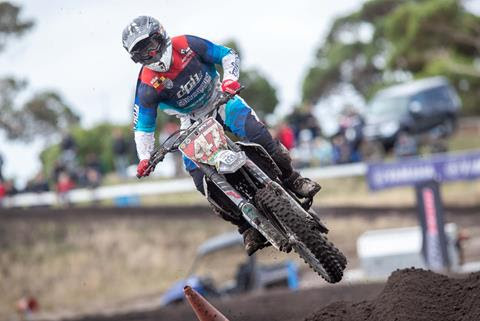 With round three slated for Broadford, Victoria on April 14, the DPH Husqvarna Factory Racing Team will take the two weeks to fine tune each riders training program along with carrying out routine maintenance on the Husqvarna FC250 and FC450 race bikes.